Posted July 8th, 2009 by jay & filed under ECP Feature. If you’re new to Email Center Pro, you might not realize what a valuable tool you’ve got at your disposal. Hopefully, you know about sharing an inbox, assigning emails, tagging, and collaborative notes. But when you’re ready to get deeper into the ECP experience, spend a little time in your Dashboard. First and foremost, the Dashboard is your command center. All the information you need for tracking your email traffic is right there. How many emails did Janet send yesterday? It’s right there. What was the average response time from your customer service team? It’s right there. What time of day do most of your emails come in? Yep… it’s right there. 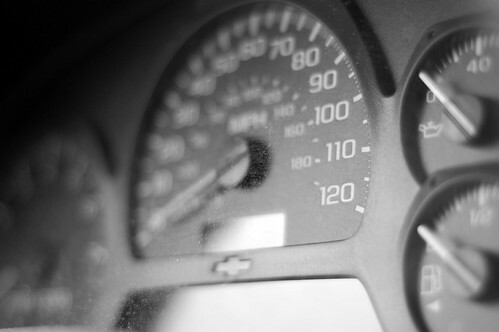 Your Dashboard holds all the analytics that allow you to measure your results. But Widgets go beyond numbers and graphs. They let you interact with your email and your colleagues in all kinds of ways, and are customizable by the criteria that’s important to you. For instance, the My Mail Widget lets you see emails assigned to you in every inbox, so you don’t have to flip around through all the boxes you’re responsible for checking for things that need your attention. Widgets let you can keep track of all sorts of recent actions. If you want to know any time somebody tags an email Feature Request, for instance — set up a Recent Actions Widgetfor that tag and you’ll have a real-time list any time you need it. Want to see every note that a particular user adds to an email, or every note than every user writes? Set up as many Recent Actions Widgets as you need, each one providing the specific information you’re looking for. The Tag Cloud Widget gives you a visual representation of all of your accounts conversations. With a glance you can see the most heavily used tags and subjects getting play across your inboxes. You can even read about what’s new in Email Center Pro by adding the ECP Updates Widget, or integrate ECP with your Velaro, (Form)Spring or Vertical Response accounts. Access all your saved searches, see who’s logged in, read your RSS 2.0 feeds, check your account usage stats, add and remove Widgets… phew, I’m out of breath. And there is more you can do that I haven’t even mentioned! In a nutshell, if you’re using Email Center Pro and not using your Dashboard, you’re really missing out. If you’re not using Email Center Pro, I shudder to think of how many places you must have to click and search to get this kind of information, and how much of your valuable time it takes to do so. Time you could be spending responding to your customers.